“What is the situation with AirBnB?” is a question my Office is increasingly asked, and a question I get asked often at seminars and other events. For the purposes of this article, I will refer to “AirBnB” when I talk about short-term letting. Of course, there are many different short-term letting platforms apart from AirBnB. It is probably worth reminding ourselves and anyone who is not familiar with it, what AirBnB is and how it operates. In a nutshell, AirBnB is a platform where people can provide part or all of their home to be available for letting for whatever period of time they choose. People who want to stay in an AirBnB property create a profile and then they and the provider liaise directly to finalise the arrangements. How AirBnB is treated in other jurisdictions has been in the news quite often of late. For example, in Berlin, owners who rent out more than half of their properties without city council permission face fines of up to $100,000, while in New York City, fines apply to landlords letting out their properties for less than 30 days. Recently in New South Wales, new laws were announced which will give bodies corporate the ability to pass a by-law prohibiting short-term letting in certain circumstances. While these are interesting developments, my focus is on the situation in Queensland only as it stands and only in relation to the body corporate context. For any lot owner who is thinking about or engaged in offering their lot on AirBnB, there are several other considerations including planning and zoning requirements and tax implications. My Office cannot provide information about these issues and advice should be sought from the relevant government agency, or independent legal advice obtained. This section has been consistently interpreted in adjudicators’ orders as making clear that the body corporate is not empowered to prohibit short-term letting—such as AirBnB—through a prohibitive by-law. Remember, by-laws are meant to regulate, rather than prohibit. In Macleay Tower & Villas  QBCCMCmr 12 (17 January 2017), the adjudicator considered a dispute brought by a lot owner against the body corporate in relation to a by-law which stated that the owner would “be responsible for ensuring that any residential tenancy shall be permitted only for a minimum of three months”. The committee argued that short-term tenancy is not a ‘residential use’ in relation to section 180(3) of the Act because, among other things, “the defined meaning of ‘residential’ implies living in a place over a period of time, a sense of permanency and a sense of belonging to a community. Short-term tenancies do not have these characteristics.” Other owners made submissions along similar lines. In another adjudication, Lynkim Lodge  QBCCMCmr 419 (14 September 2016), where a similar dispute was brought by an owner against the body corporate, the adjudicator stated that, “It would be contrary to the Act for the Body Corporate for Lynkim Lodge to record a by-law that prevented owners from leasing their lot for less than three months, regardless of whether the rental was arranged directly or via a traditional property manager or via a rental service such as Airbnb”. 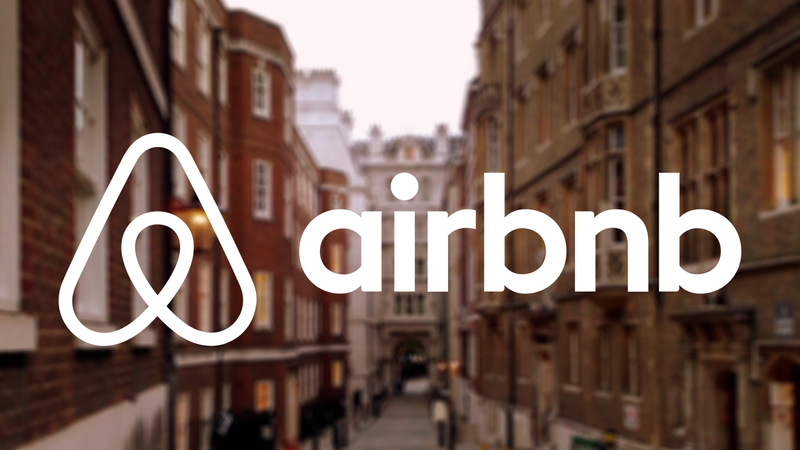 Given that these cases appear to make the situation with AirBnB clear, a body corporate or a lot owner with concerns about AirBnB in their scheme needs to turn their mind to what practical steps they can take. I would suggest that if a body corporate or owner has concerns, they should try to narrow their focus to what precisely is their issue—is it noise? Nuisance? Parking? Security? It is important to narrow the focus this way because, as we have seen, simply disliking AirBnB on principle will not achieve much. Once the focus has been narrowed, devote attention to that. If, for example, the concern is about the noise AirBnB residents are making, the body corporate could consider addressing those concerns with the owner who is letting out their lot on AirBnB, making them aware of the noise issues, and also making them aware of any by-laws about noise which are applicable. Sometimes, a reminder about by-laws may have a positive impact on reducing noise concerns. This may also be a prompt for the body corporate to consider reviewing its by-laws to ensure they remain relevant and responsive to AirBnB. All adjudicators’ orders, including the ones cited in this article, can be found at www.austlii.edu.au.